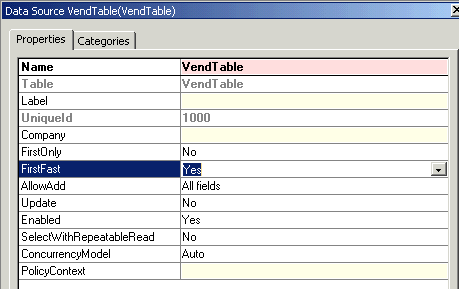 Change the “FirstFast” property on the “VendTable” in this view to “Yes”. 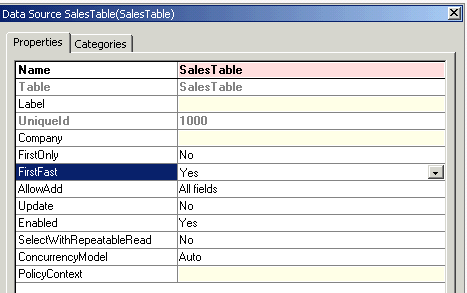 Change the “FirstFast” property on the “SalesTable” in this view to “Yes”. 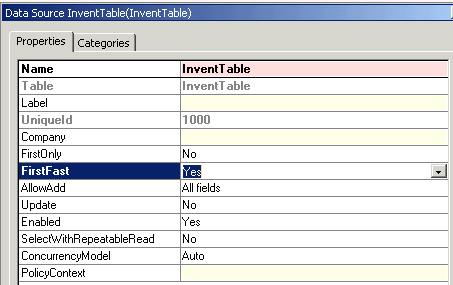 Change the “FirstFast” property on the “InventTable” in this view to “Yes”. Change the “FirstFast” property on the “MainAccount” in this view to “Yes”. 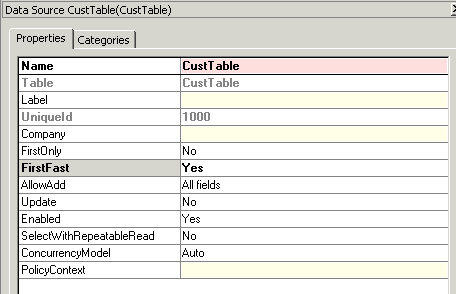 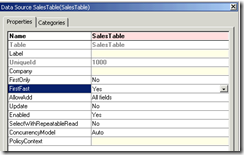 Change the “FirstFast” property on the “CustTable” in this view to “Yes”. 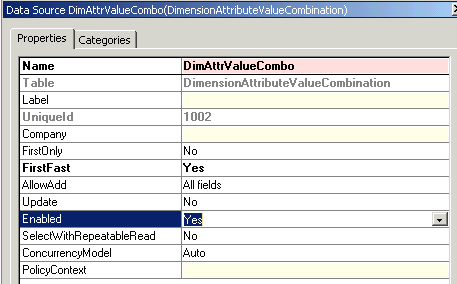 Change the “FirstFast” property on the “DimAttrvalueCombo” in this view to “Yes”.